If you thought that you only competed with your fellow designers for web-related design work, think again. Quite a few do-it-yourself site builders have become popular and surprisingly effective at producing basic websites. There are certainly many cases in which a business should hire a professional web developer/designer to create their website. However, sometimes all a customer needs is a quick yet professional website that they can build themselves. Some customers may simply want to see how well your startup is going to fare before shelling out the big bucks for a professional developer. Or, maybe they’re starting a club that just needs a simple, informative website. Or, perhaps they’re a small business owner that just needs a professional point of contact or a simple ecommerce site. For these and similar scenarios, the right website builder could fit the bill and create stiff competition for any designer looking to bid on the same work. 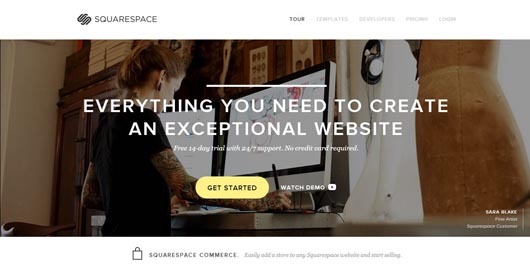 In fact, some of the best website builders allow anyoneÂ â€” from beginners to experienced designersÂ â€” to create an entire website in a matter of minutes. 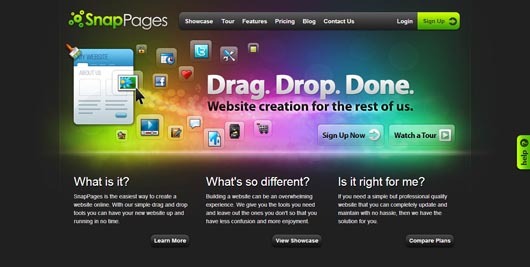 Most of the time will be spent looking for the right site builder for your needs. 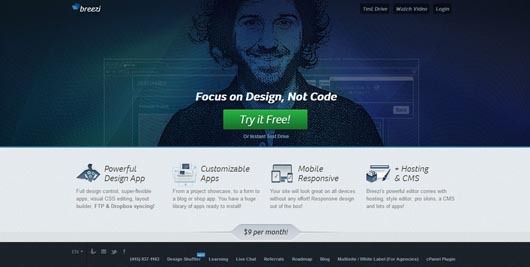 In an attempt to help designers understand their low-cost competition, I’ve compiled a list of 5 web builder sites online that have the best features and excellent reviews. Some of these have free trials and all require a monthly fee, but they’re worth studying if you’re looking to beat their quality and value. Even with the free version, you can get a site up and running to review right away with no obligation to pay a domain hosting fee yet. Unlike most free versions, it is good for an entire year. If you want a unique domain name â€” rather than the BusinessName.webstarttoday.com that comes with the free versionÂ â€” and no ads on your website, then you can upgrade to one of the paid subscriptions ($9.99/mo. or $99/year) at any point. 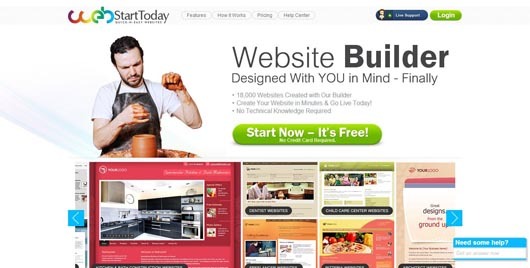 With so many helpful features and one of the easiest web builder tools available, WebStartToday is a worthy option for small business owners or freelancers, even those without any technical knowledge. The Pro and Developer versions include SEO and Google Analytics, embedding of third-party widgets or custom code, and a custom domain name. Not much comes with the free version, but the paid versions are surprisingly robust. The free version is very limited with only 5 pages, 2 languages, limited features, and a domain of YourBusiness.edicy.co. Both the Standard ($11/mo or $96/yr) and Plus ($18/mo or $156/yr) come with a free trial. The Standard version comes with only 2GB storage, 3 users, 30 pages and 3 languages, and only one password-protected page. The Plus version is unlimited in these features and the yearly subscription version comes with a free domain name. You don’t have to know any code to design a professional, customized site with this builder, and the CMS will make it easy for customers to manage their own content. It’s not quite as quick as other web builders that already have pages in place, but this could be a tempting option for those clients with a combination of very picky preferences and very tight budgets. The standard ($8/mo) plan comes with limited features, 20 pages, 500 GB bandwidth, 2 GB storage, and only 2 contributors. The Unlimited plan ($16/mo) and the Business plan ($24/mo) both come with varying degrees of features and unlimited pages, bandwidth, storage, and contributors. Customers can choose yearly billing for any of the plans for a free custom domain. So, there you have itÂ â€” it’s very possible for anyone, even those without your seasoned web design skills skills, to put up a website and in less than a day in many cases. These kinds of sites can pose a threat to many web designers, but there’s no substitute for having an expert at your disposal. Plus, designers are inherently very creative, and they’ll inevitably come up with ways to get the best of these competitors. How do you compete with site builders? Has it ever come up in a client discussion?